Tomatoes are fun to grow and even more fun to eat! The wide usage of tomatoes makes this one of our favorite things to grow in the garden. Vining tomatoes (or indeterminate tomatoes) grow indefinitely until it freezes. Because of this, they require trellising on a tall support structure. Beware of the tomato hornworm, though. He is a fiesty fellow that can take out an entire tomato plant in a day! Tomatoes are fun to grow and even more fun to eat! The wide usage of tomatoes makes this one of our favorite things to grow in the garden. Bush tomatoes (or determinate tomatoes) only grow to 3 or 4 feet tall, but they bush out and require caging. Beware of the tomato hornworm, though. He is a feisty fellow that can take out an entire tomato plant in a day! How to Grow & When to Plant Swiss Chard in Your Backyard or Container Vegetable Garden! Swiss Chard is a green, leafy vegetable that can be used in a variety of different ways in the kitchen. 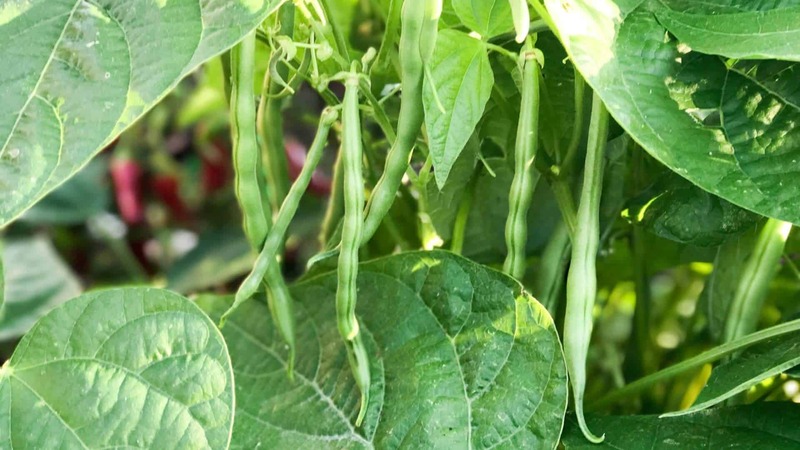 It is very easy to grow and is a healthy addition into your diet by growing in your backyard or container vegetable garden. How to Grow & When to Plant Lettuce in Your Backyard or Container Vegetable Garden! With all of the colors, shapes, and flavors of lettuce available, you can have a different salad every day of the week! Lettuce is adaptable to many different growing conditions but likes to stay in a cool 60 to 65 degrees. It will happily grow in the spring and fall, but you should plan to grow them in the shade during the hotter months to slow bolting. How to Grow & When to Plant Carrots in Your Backyard or Container Vegetable Garden! Carrots are tough to germinate, but are easy to take care of once they do. We love to grow all different colors and varieties, and the kids have a blast pulling them up! How to Grow & When to Plant Beets in Your Backyard or Container Vegetable Garden! We love to grow beets because they’re full of vitamins, and the entire plant can be eaten. The greens from beets are great in salad mixes, and the roots are a sweet, earthy addition to a vegetable juice.